HYPE caught up with REASON on all things twitter, plans for 2013 and whether or not he thinks he’s made a mark in the industry. 2013 has hit us, and yeah we still alive so what are your plans to make this year memorable? We tryna go bigger! More music, more shows, more tours and another album. Audio 3D is a dope album, did well in 2012 too, any new stuff you working on? Working on a lot of new stuff. Some collabos have happened since ‘Do It Like I Can’, and people are gonna start seeing them surface as the year prevails. Videos as well, s’bouta get busy. 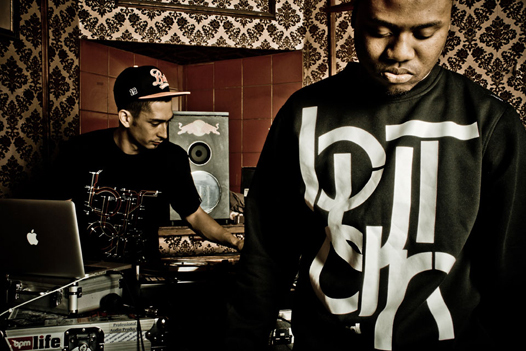 Hip Hop in SA has grown big time, think you’ve made your mark in the industry yet? I think a mark has been made, but I don’t think it’s just about making a mark, but rather making the mark everlasting. We in this forever! Who would you love to collaborate with in the near future? TKZee Family’s ‘Izinja Zam’ (we can argue about this in person if anyone has an issue). Which SA Hip Hop artist has your attention right now? Young piece of advice to aspiring MCs? Stop tryna get discovered and make a name for yourselves. Tweets don’t make legends, legends make themselves. ..And then they tweet!